Hijacking an online account is not a complicated procedure, not at least in 2016. Today, Instagram confirmed that the company is in the process to roll out two-factor authentication for its 400 Million users. It is impossible to make your online accounts hack-proof, but you can make them less vulnerable. Then what you can do to protect yourselves from hackers? Several companies provide more enhanced steps like Encrypted Channel Services, Security Questions, Strict Password Policy and so on. But, what would you do if a hacker had somehow managed to access your accounts’ passwords? Since the online accounts do not have an intelligent agent inbuilt to verify whether the person is the legit driver of the account; beyond a username and password match. Hence the concept of Two-Factor Authentication (2FA) born out! Jumbos like Google, Facebook, Twitter and Amazon have already blended the 2FA feature with their services to tackle account hijacking. 2-Factor Authentication or two-step verification is an additional security mechanism that certifies the user is legit after clearing dual identification step i.e. a randomly generated security code would be provided to the user via call/SMS for authentication. 2-Factor Authentication eliminates the hackers to intrude into your online accounts (even if they have your usernames and passwords). 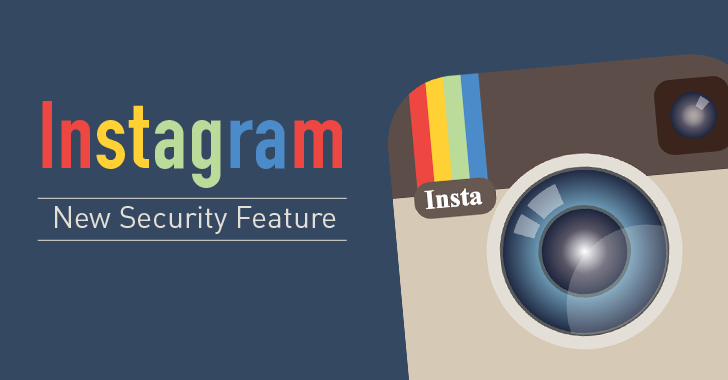 Now, the Multimedia sharing Giant Instagram also joined the league by implementing two-step verification. However, the decision to roll out 2FA feature could be criticized as it's parent company Facebook had already implemented it five years back. The current users could not expect the new two-step verification feature to get released soon, as the company had mentioned that they would slowly release the phone verification feature. But yes, there is good news for Singapore Residents. As the first roll would be out for Singaporeans. Earlier, Instagram hacking was a deja vu as many videos and images of celebrities leaked online in the yesteryears. Hackers could create havoc such as hijacking or deletion of Instagram Accounts, flooding the account with illegit contents and much more. Taylor Swift was one of such victims of the Instagram hack. To save yourself from hackers you are recommended to enable 2-Factor Authentication when the Instagram security feature as soon as rolls for your country.